This Suggested settings below is a guide for your settings on the Robot. 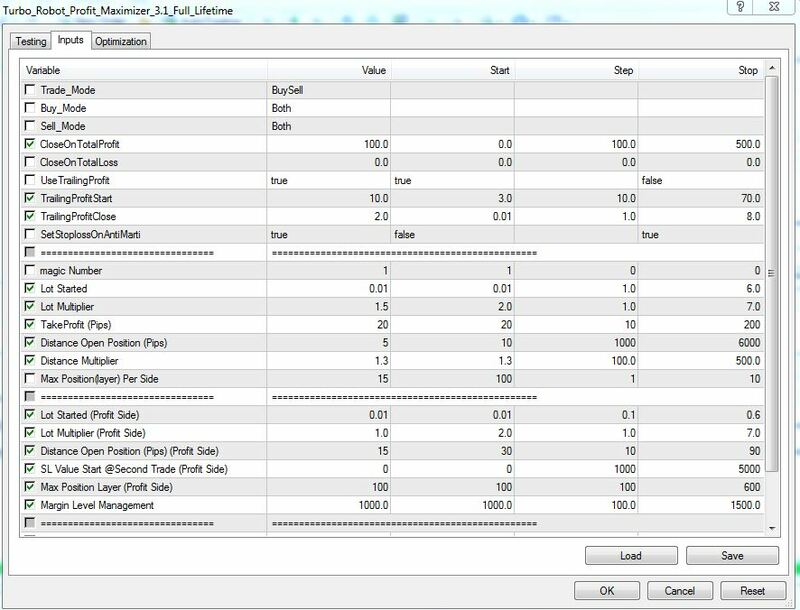 You may use this suggested settings base on currency pairs or you can have your own profitable settings, as long as you understand how your settings works going to looks like in demo or live trading. Is Martingale Settings is risky for You? No worries on that, Martingale settings is really the best strategy in terms of getting back your previous losses ASAP. But you need a high margin to perform this strategy. If you have small capital, you can convert your account to cents account. For some traders, they don’t want to use cents account. They only want to use standard account. Below link button will teaching you on how to use this Robot without Martingale settings. Handle your Risk -How to handle you losing trade. The market will always up’s and down, and sometimes always up or always down (one direction). Not all you trade will be in profit, what if on losing trade? How to handle it. 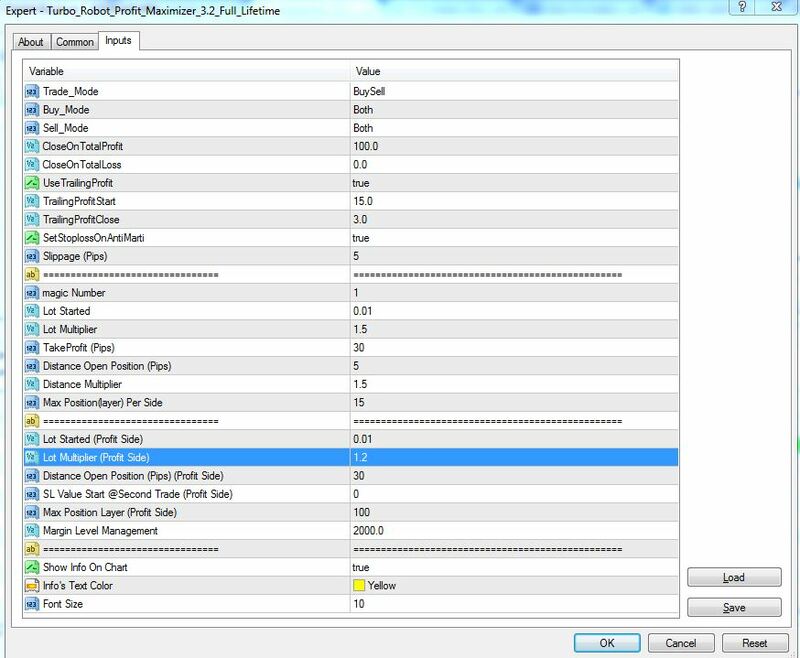 Starting lot size = 0.01 lot size. Please check your account value price per tick movement. Please check your account price per tick movement. Different broker has different pricing. Ex. 0.01 lot is equivalent to 0.10$cents per tick value. Some broker are 0.01 lot is equivalent to 0.01$cents. This settings are using near Distance to open position= 5 pips, if the particular trade position either buy or sell was in losing position. The advantage of this settings value is near so that we able to catch on ranging market to hit the TP or profit trailng and close it faster. If the market keeps on losing, we using distance multiplier =1.5 in which it multiplies the distance open position every time it open’s new lot trade. 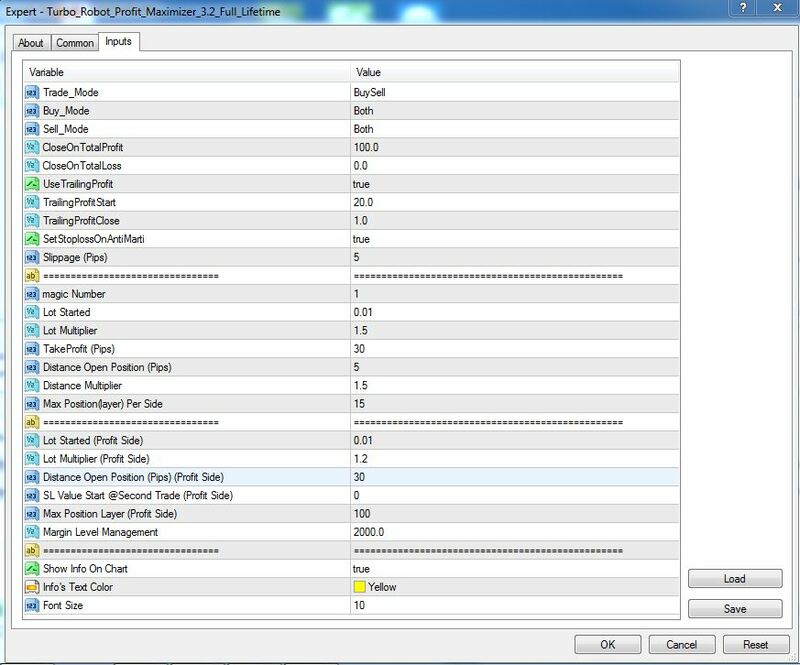 The more it open new lot trade, the far distance it open, this to saves your total lot size used. Lot multiplier will be = 1.5 to minimize risk. 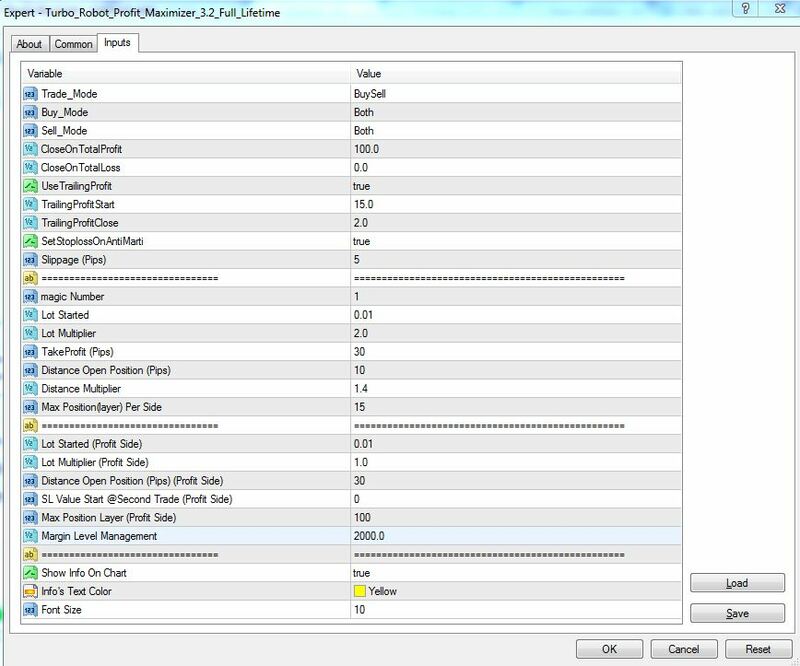 We also limit the Total position to open on one side losing trade, Max position (layer) Per side= 15 level or layer. 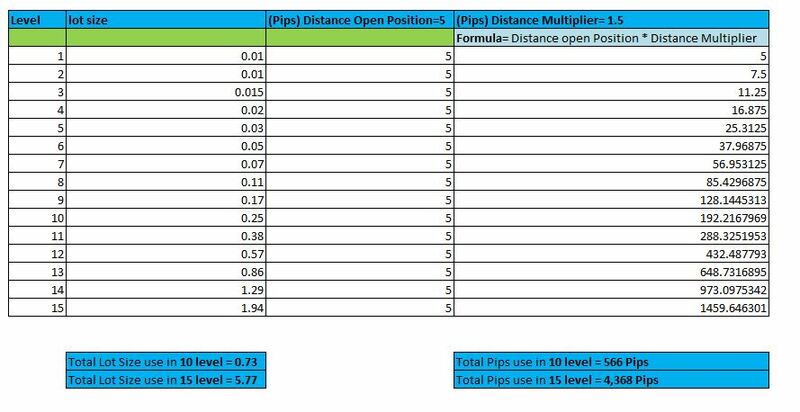 Base on the chart, if we use Starting Lot size = 0.01 and Distance Open position = 5 and we use Distance Multiplier = 1.5, If the market keeps on one side trade, and reach to maybe 10 level, your total lot size use was only at 0.73 lot size and total pips is at 566 pips. This means this particular setting is very safe and not even touch so much on your capital equity. In our experience in trading this could be happen very rare, usually the market will reverse maybe after a 100 pips or 300 pips base on hard news. If the worst situation, The market keeps on moving same direction and reach 15 levels. This means, you are using now of total 5.77 lot size on your trading. Now, Your total Pips is now at 4,368 pips and this is very unusual happen. Even during Brexit this was not happen. If this happen, Please make sure your account is on margin healthy. But no worries, Our margin management function will control this. Whenever, your account is on risk and out of control. Don’t forget to top-up your account to avoid account burst. The market will always reverse maybe sometimes. Or if you can take the pain, you can close the losing trade and Robot will open new series of trade. And don’t forget that whenever this side is on losing, The other side of your trade is on keeps profiting and keeps opening profitable trade (this if you use both (Buy and Sell). NOTE: All This settings and explanation are just and example for better understanding on the Robot and you can use your own settings to follow as long as you understand your settings properly. How to increase profit with minimize risk? Usually this Questions are always ask by most of Forex Traders, newbies and even experience traders. We will suggest to use Cents account on this Robot due to cents account is a very low risk in terms of using more levels on your trade. Another way to increase profit is by using multiple currency pairs. Why multiple currency pairs it is because, not all currency pairs you choose is not active all the time and in order to take more profit in Robot trading and even manual trading we need market movement to catch and hit out TP. By adding more currency pairs, you can compensate some earnings from from other pairs which is active while others pairs are not active. Caution: if your account is not big enough to tackle multiple pairs please don’t use multiple pairs. Make sure to have proper calculation base on your risk level before doing this. Refer to this video link for drawdown calculation Click here. Suggest to use Cents account if your account is less than $1K . Note: This settings is only a suggestion and you can have your own preferred profitable set-up settings. All settings able to use in both Robot, Turbo Robot Profit maximizer and Trend Multiplier. 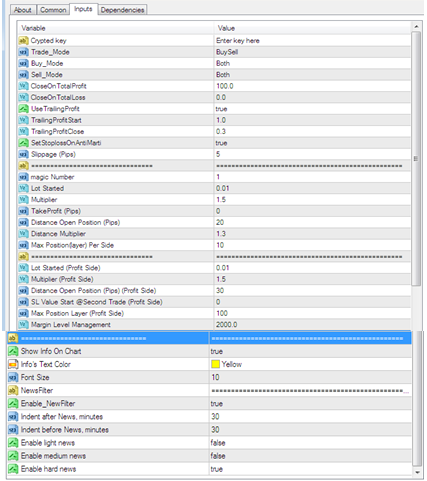 The rest of the setting function is only for Turbo Robot.